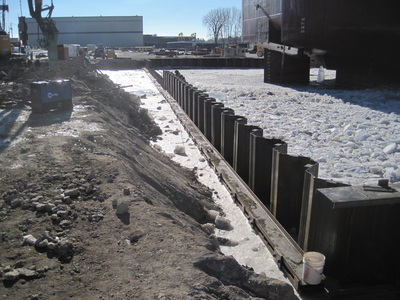 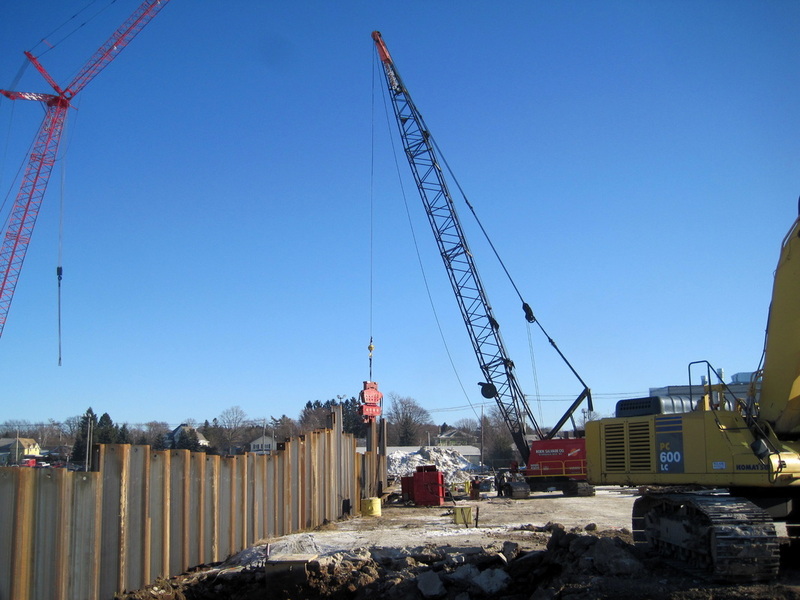 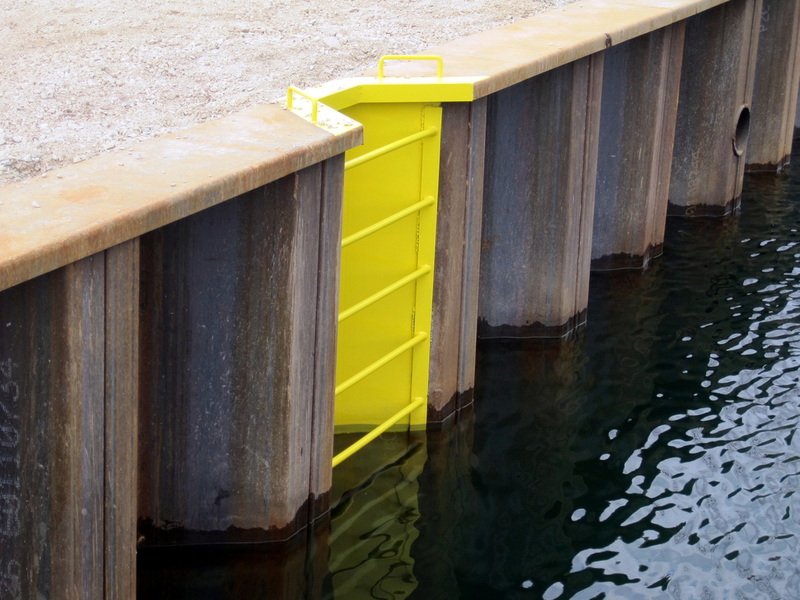 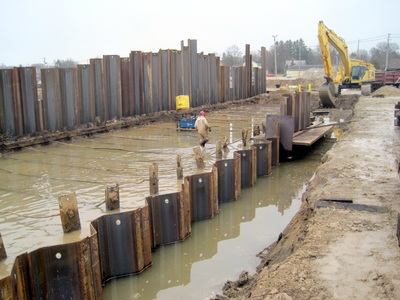 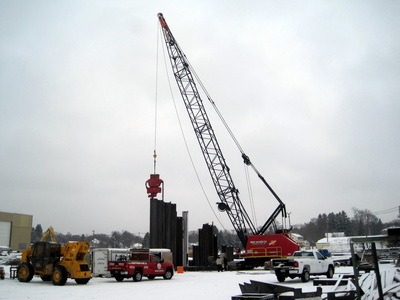 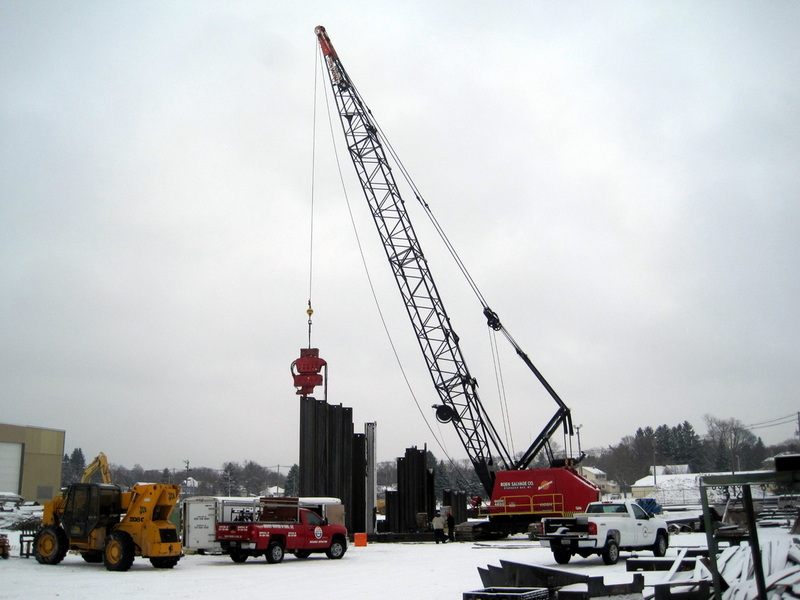 Over the winter of 2014-15, Roen constructed 470 feet of new steel sheet pile dockwall. 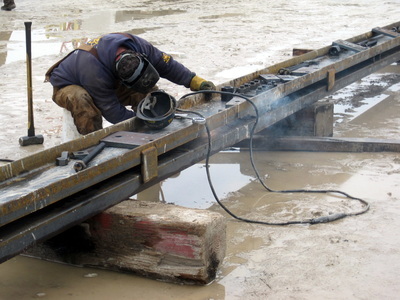 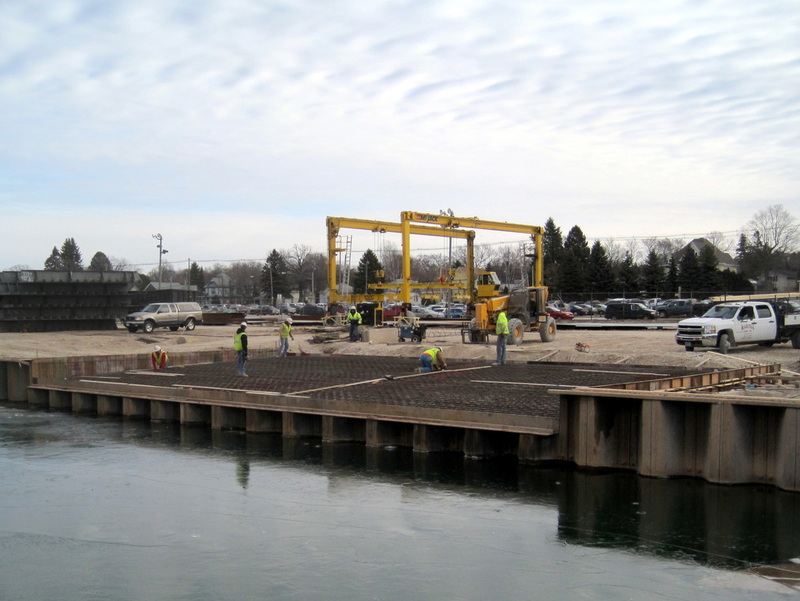 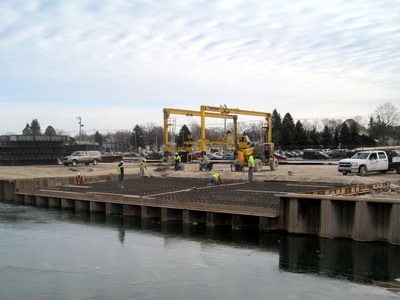 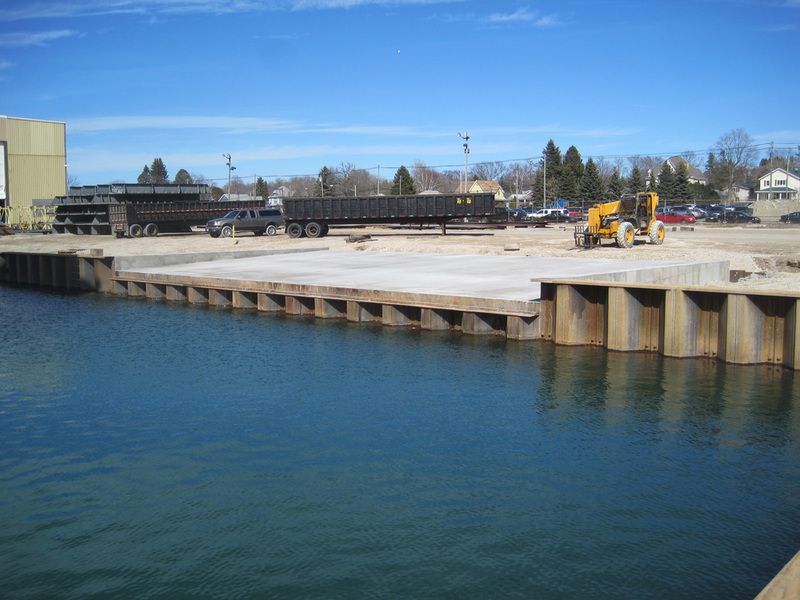 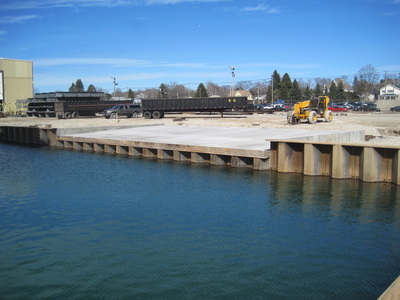 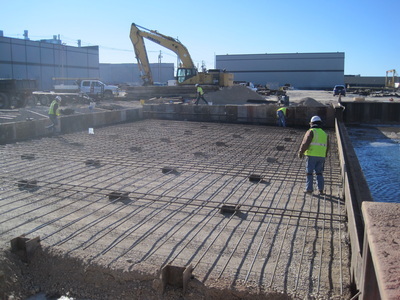 Included in this project was a concrete load-out ramp supported by 48 steel foundation piles for launching new vessels onto a floating drydock, mechanical dredging, electrical upgrades, mechanical upgrades. 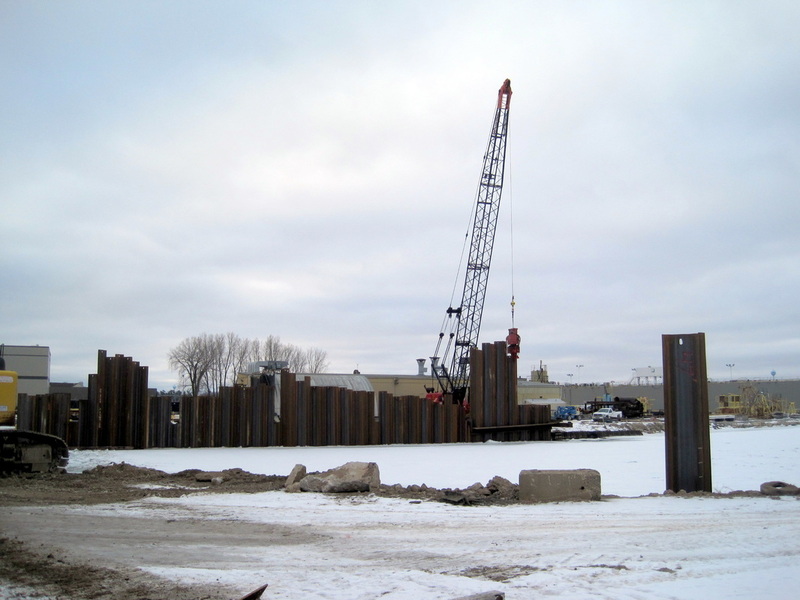 Roen worked through countless undocumented obstacles buried underground throughout Bay Ship's long history and still completed the project on time and under budget.